Highly practical and gorgeous looking, a perfect gift! 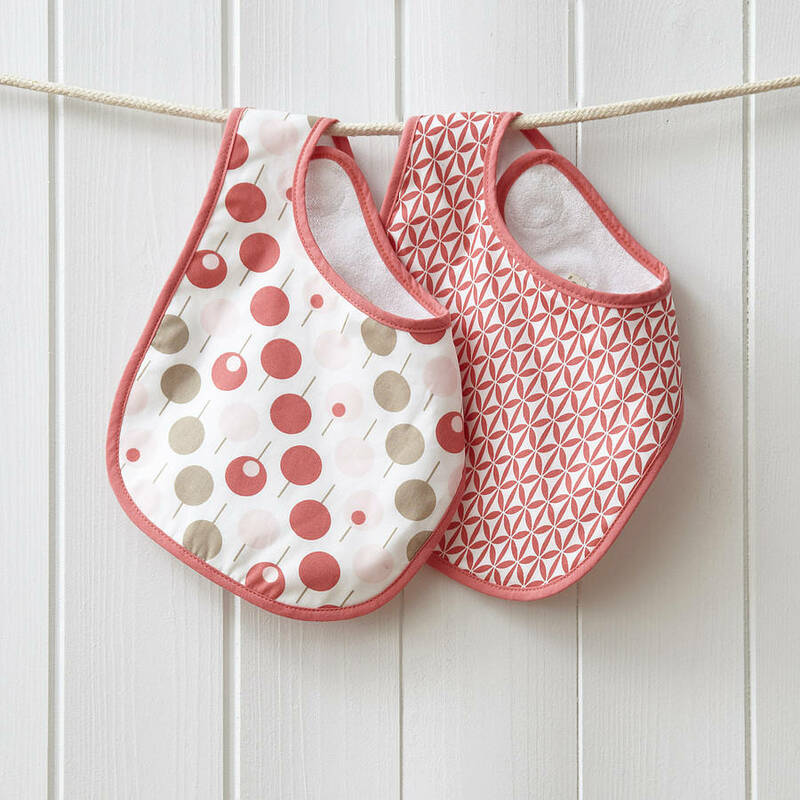 Can you ever have enough bibs? This cute bib set for baby girls is designed to look like a fashionable accessory to her day outfit. It's smart enough to be worn all day, co-ordinating with baby's outfit, making it ideal for teething babies and little dribblers. 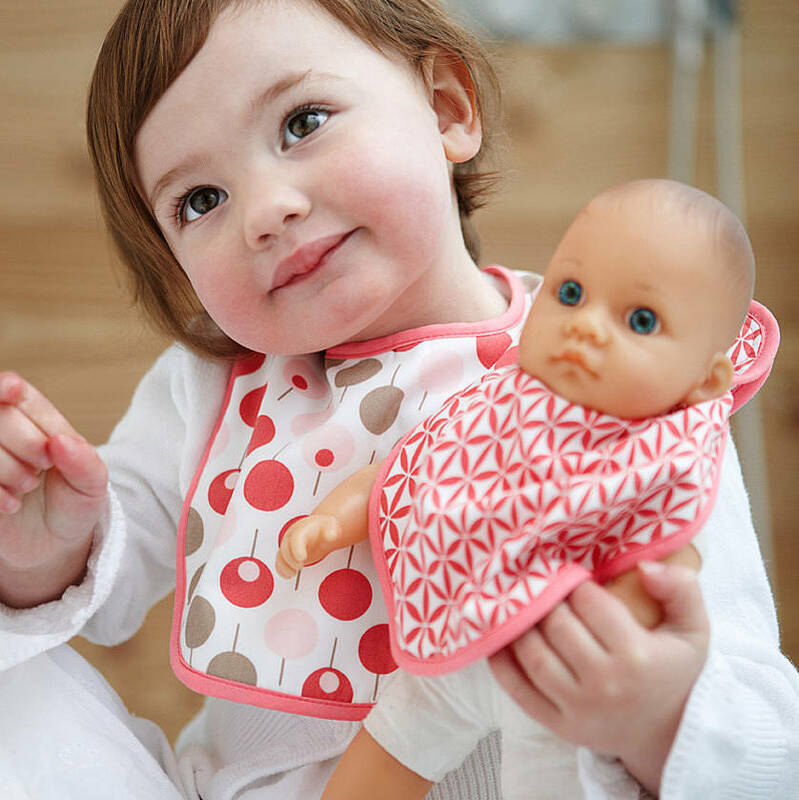 The bib with its towelling backing is highly absorbent, suitable from birth and machine washable. 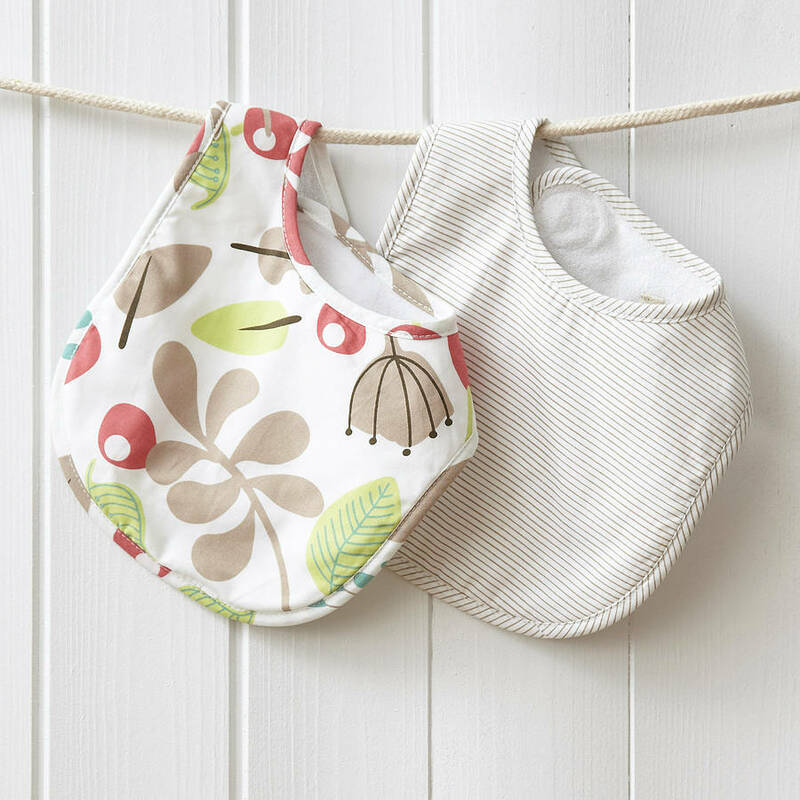 Our bib set comes in a pack of two bibs, each with different prints with a co-ordinated binding. They are 100% cotton with a Velcro tab for easy fastening. 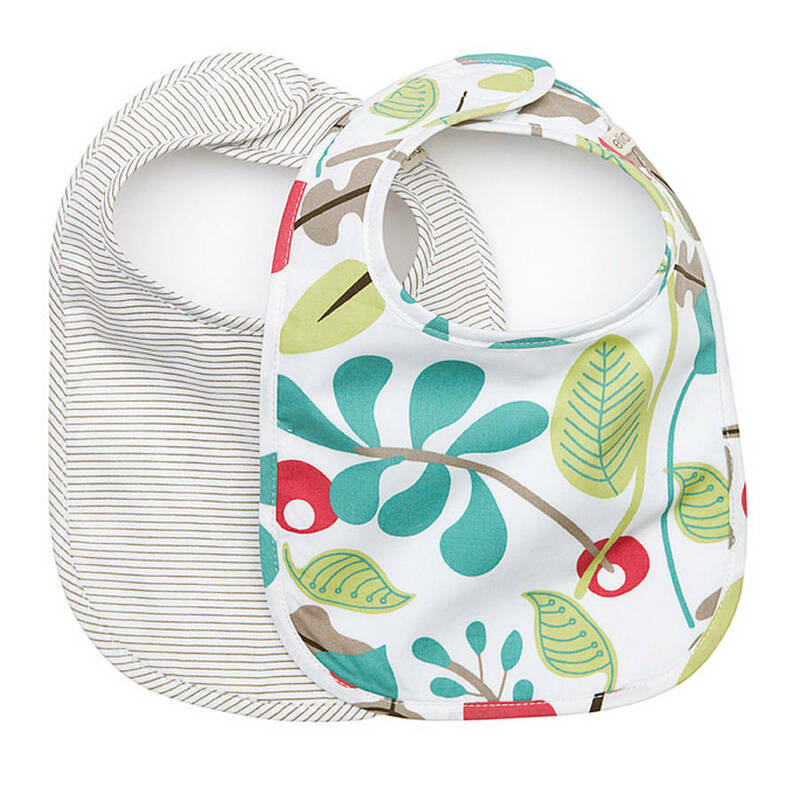 The bib set comes in two different prints. 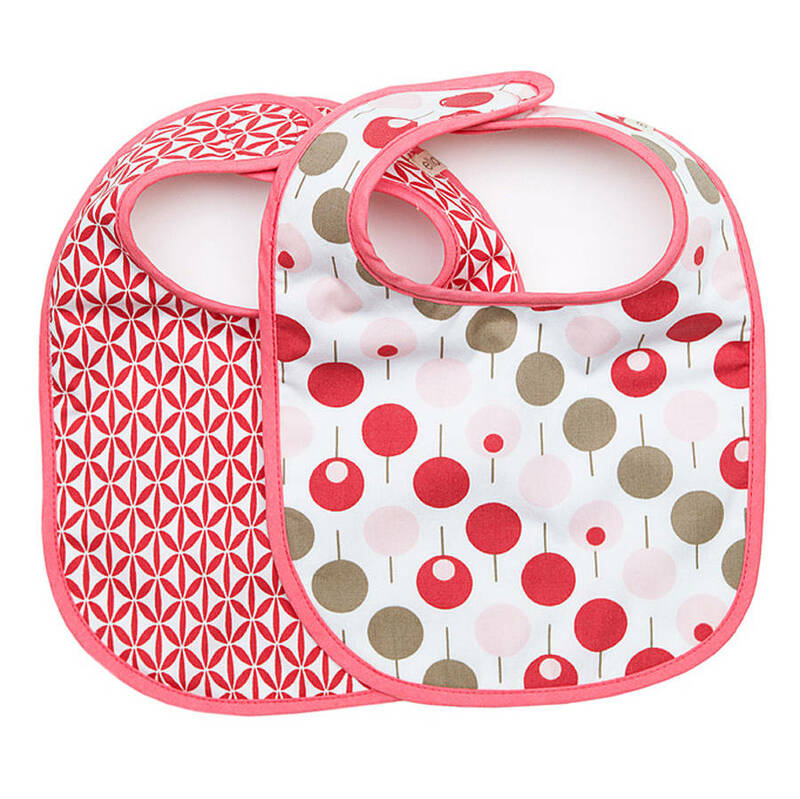 Each set containing of two bibs. Machine washable at 40 º C and can be tumble dried at a low temperature.